Vultures are a keystone species facing an alarming decrease in numbers globally. They do have something of an image problem, however; these scavenging birds feed on the carcasses of dead mammals, and given this gruesome food supply it can be hard to sympathise. But vultures are of great value as scavengers, a fact which is often overlooked or underappreciated. Their stomach acid is exceptionally corrosive, allowing them to safely digest putrid carcasses infected with toxins and bacteria that would be lethal to other scavengers. I spent two months in Malawi this summer studying the ecosystem services the vulture provides to Nyika National Park. The research expedition included trips throughout Malawi to meet with various stakeholders such as environmental organisations and park managers. My trip was supported by the Nyika Vwaza Trust, a UK-based registered charity dedicated to the conservation of the Park among other areas. The Park in northern Malawi contains a wide range of habitats including extensive upland grasslands and dambos, as well as miombo woodland, montane moist forest patches and even a remnant juniper forest. 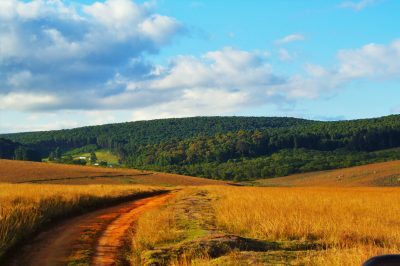 Nyika is a niche tourist destination that has some 430 bird species and attracts a large number of bird spotters. Antelopes such as eland, zebra and reedbuck are common residents. Elephants and yellow baboons wander close to the woodland and terrestrial scavengers such as leopards and hyenas are common night wanderers. There are several species here such as the white-backed vulture, lappet-faced vulture and the white-headed vulture which are considered to be endangered. Although poachers intentionally poison the carcasses throughout Africa, deliberate vulture poisoning is not the case for Nyika. Poaching activities on the plateau, however, result in a decrease in ungulate populations as well as predators, and so diminished food sources for the vulture. I had the opportunity to understand the area and the species during my two-week stay in Nyika. Being on the plateau allowed me to have direct contact with the animals and the environment. I came across zebras, elands, reedbucks and other antelopes during my daily walks. It was encouraging to spot vultures almost every other day during area searches. The area’s few residents were more than happy to answer my questions and provide assistance when necessary. Remarkably, staff at the safari lodge informed me about a dead reedbuck that was found in the dam; the carcass had been placed by locals next to the dam in a location where vultures could spot it and approach. A second account involved a relatively small goat, which was placed at an open, grassy site. My team and I were stationed about 30m from the carcass, in a place with rocks and bushes so to prevent us from being seen by the scavengers. The goat was killed just before 9am. Vultures appeared in the sky within 10 minutes and approached within another 20 minutes; 90% of the carcass was consumed in less than two hours. These monitoring techniques were a fascinating experience and a great opportunity to understand the species. Approximately 30 vultures were recorded – four juvenile – an important indicator of breeding possibilities in the area. Part of my research was a series of face-to-face interviews and questionnaire surveys among the Park’s residents, visitors, local authorities and environmental organisations. I was able to obtain their level of awareness about the decline of vultures and the emotional response towards the bird from data collected. Results showed that the level of awareness is very low – only 33% of respondents were aware of the vulture’s potential extinction. Additionally, results revealed that people are happy to know that the vulture exists as a natural resource, even if they do not directly benefit from the services the bird provides; there is an ‘existence value’ attached to the species. The research methods applied served as valuable PR exercises for the vulture. 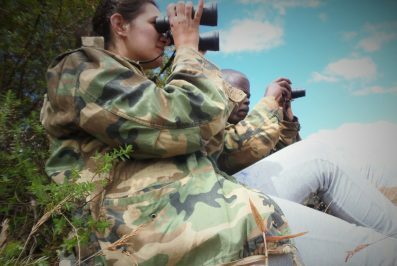 Awareness was raised during the fieldwork among locals as they were deliberately searching for vultures afterwards and reporting occurrences as part of their everyday routines. Little, if any, research has been undertaken regarding the vulture in Malawi. Visitors and tourism employees indicated that Nyika is largely directed at avitourism (bird watching) which is an ecologically sound and sustainable type of wildlife tourism. This contributes to the economic development and environmental management of many sites; essential to maintain the bird species. The ability of vultures to ‘reveal’ poaching incidents is appreciated by the law enforcement team of the plateau. An increase in the number of vultures could be of further assistance in this battle against poaching. Vultures are not just victims of poaching but also a means of fighting the problem. Sound conservation policies require monitoring programmes in order to assess the size of the problem and then to be able to observe the progress or failure of the project. The avian monitoring techniques that were demonstrated during the fieldwork in Nyika provided essential information on public reaction towards a potential monitoring programme. It was encouraging to observe people’s thoughtfulness and concern once the problem was presented to them and analysed. Tourists were also not put off, but instead fascinated. Conservation problems are complex and uncertain and so require well-studied, consistent strategies. 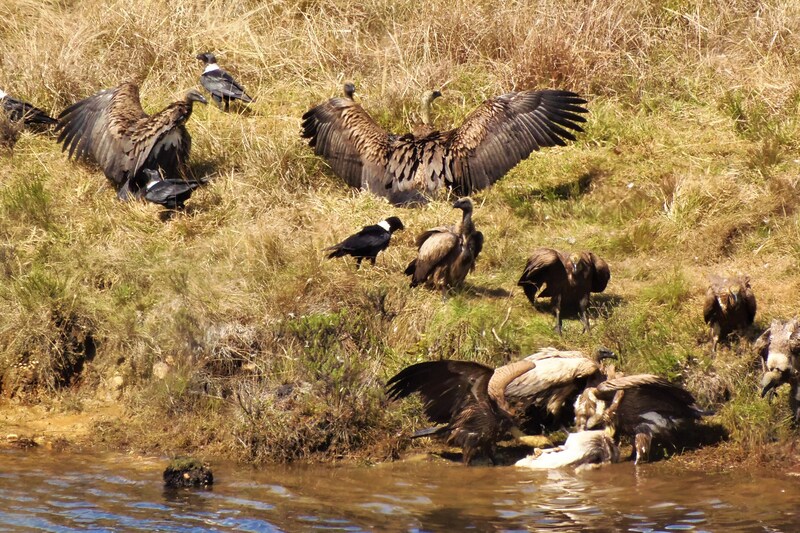 The first step to the conservation of the vulture in Nyika is to understand the link between their ecological functioning, economics and values. The second is a regular population monitoring programme in order to realise the size of the problem and seek efficient solutions. Given that African vulture species are declining and some species may become extinct in the next 25 years, a conservation policy is of utmost importance. Overall, I’m grateful to have been given this opportunity to work in Africa. If I learned anything from daily contact with the locals, walking for hours in the African savanna and travelling in the queerest transport, it is that true inspiration and growth only comes from adversity and challenge, from stepping away from what is comfortable and familiar –from stepping out into the unknown!